Screenshot courtesy of Schuylkill County Police/Fire/EMS on Facebook. 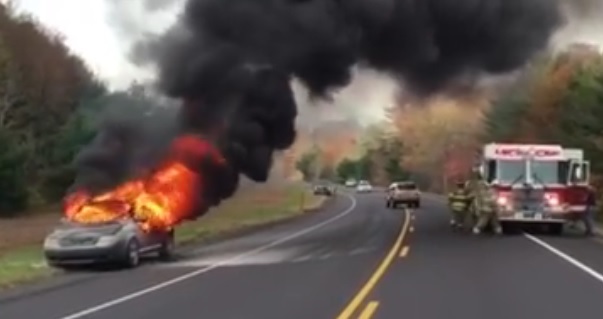 Firefighters were called to US209 (aka Pottsville Stretch) this morning (Tuesday, October 27, 2015) for a vehicle fire. The incident occurred around 8:50 AM near the Catawissa Street intersection. US209 in the area borders Schuylkill Township and Walker Township. Responding were Tuscarora Fire Company and others. No injuries were noted.